Perfect for those who wish to be parents, for those who are already in the family way and for those who already have their children. 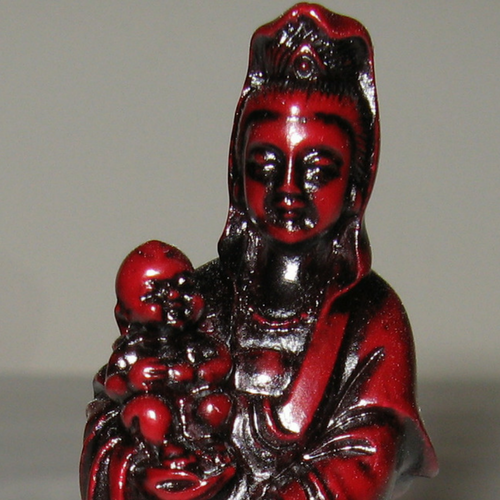 This beautiful glossy burgundy Kwan Yin holds a baby in her arm. A Kwan Yin holding a baby further increases your fertility and increases her power to protect your children. 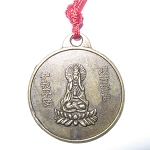 Kwan Yin is the Goddess of Mercy and Compassion. She is the most celebrated Goddess in Asia. She brings peace to monetary situations and increases unconditional love and compassion in the lives of those who live with her. 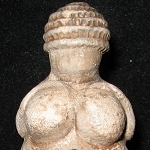 She symbolizes mercy, modesty, courage, justice, wisdom, earth, fertility, and birth. She guards the souls of children. Kwan Yin with Baby is standing on a lotus flower. 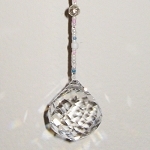 The lotus flower symbolizes generosity and Buddha. She also has a mala around her neck for serenity. Kwan Yin can be used in any Feng Shui Bagua area, and this Kwan Yin with Baby is especially effective in the Children and Creativity area. She is approximately 3 inches high.